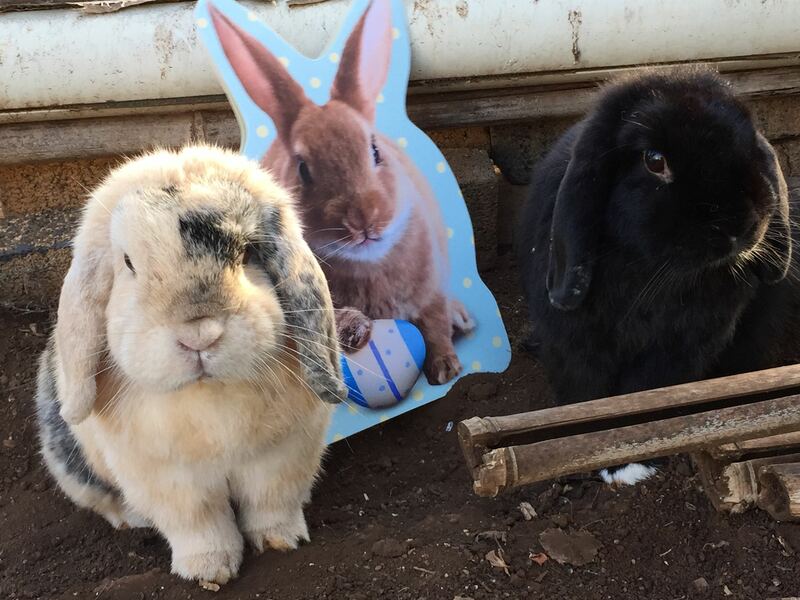 In a rare moment of calm, Flopsie and Mopsie pose next to the Easter card that their “mom” received from her former co-workers at HDS. F&M are saving up for plastic surgery so that one day, their ears will be pointing upwards too! Happy Easter F&M! Any special treats for us???? They promise not to eat your orchids!